This alerting-indicator makes professional trading besides your day job possible! 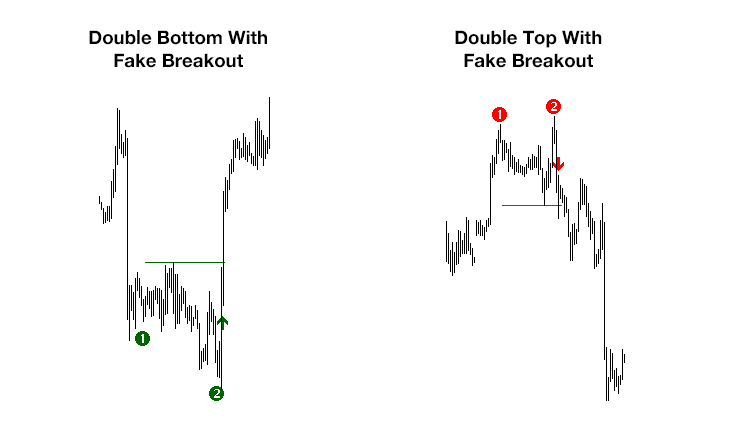 It alerts you when the outstanding good reversal pattern "Double Top/Bottom with Fake Breakout" occurs. It can check up to 30 trading instruments and up to 8 time frames. The Double Top/Bottom Alerter indicator will check fully automatic up to 30 instruments on up to 8 time frames for you. 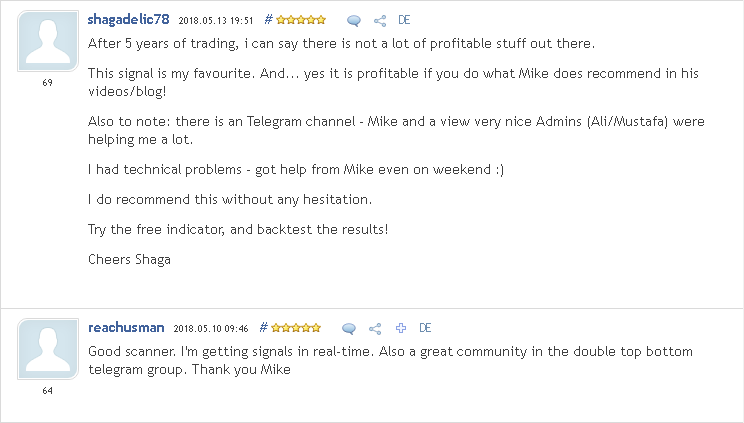 You can get the signals in real-time via MT4 popup, Email and Push Notifications, even to you smart phone! 7 Days Money Back Guarantee! No questions asked. I will directly refund your money if you request within 7 days after your purchase. 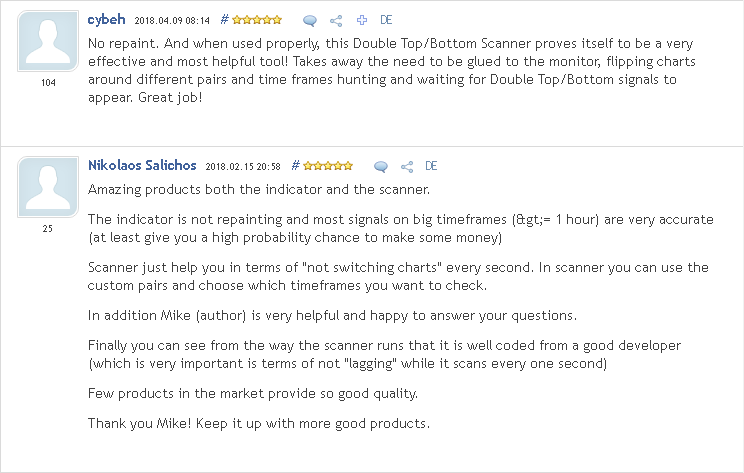 Exceptions: If I already answered questions about the indicator/system then I invested my personal time and then I can't give you a refund or if you downloaded the free version of the indicator PTS_DoubleTopBottom before the purchase. To your success! And Happy trading! But a huge problem for every trader who can't watch the markets around the clock is that you will miss a lot of these very good setups because of your limited time in front of the charts! The Solution For Your Time-Problem: Alerts! 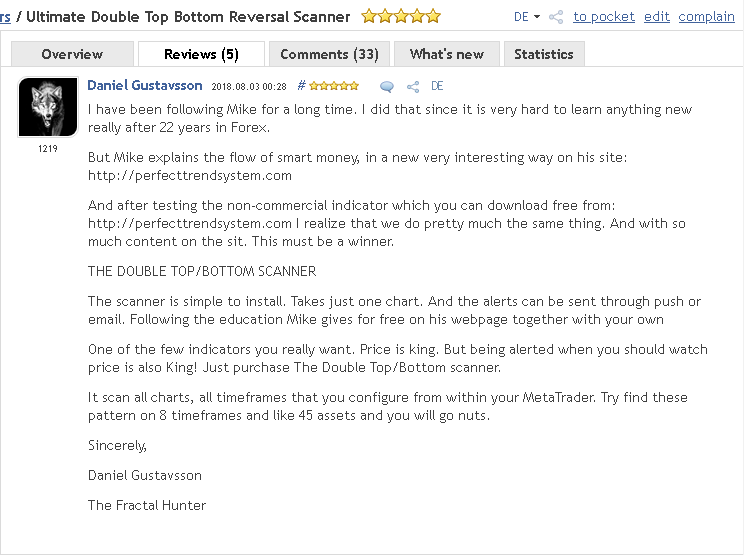 With the "Double Top/Bottom Alerter" you will never miss a single setup again! This tool you can even send emails to your mobile phone while you are at work. Then you can check the charts and make your entries. This is professional trading with only a few minutes of effort per day. The following video shows the "Double Top/Bottom Alerter" in action. In the first part of the video the alerter gets configured to alert all setups for the timeframes M30 and higher. In the second part of the video the Alerter is configured to alert only setups from the timeframes M1 and M5. After the purchase, the Double Top/Bottom Alerter will be automatically delivered within minutes to your email inbox. 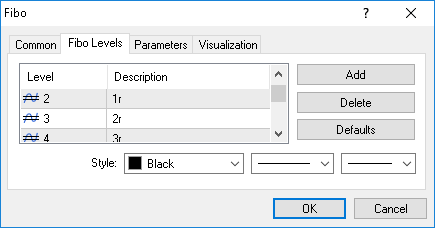 You can use the Double Top/Bottom Alerter on any computer and on any MT4 account, but only on one MT4 account simultaneously. At 0 o'clock GMT the account number will be reset on the server side. Then you can use the Double Top/Bottom Alerter on any other MT4 account. The following video explains the installation procedure of the Double Top/Bottom Alerter and the best practices if you want to use the alerter also on lower timeframes M5 and M15. 5. What to do if the names of the instruments are different on your MT4-platform? 6. Open 2 additional charts with the alerter if you want to get signals from M5 / M15. Then the signals will come earlier for these lower timeframes. Does the Alerter draw arrows on the price charts? No the alerter doesn't draw arrows on the price charts. The Alerter is the dashboard indicator which is visible in the video above. It checks a different instrument/timeframe-combination every second and gives alerts via MT4, E-Mail and Push-Notifications. After you get an alert you can press the appropriate button on the dashboard containing the name of the trading instrument. How many signals can I expect on average? 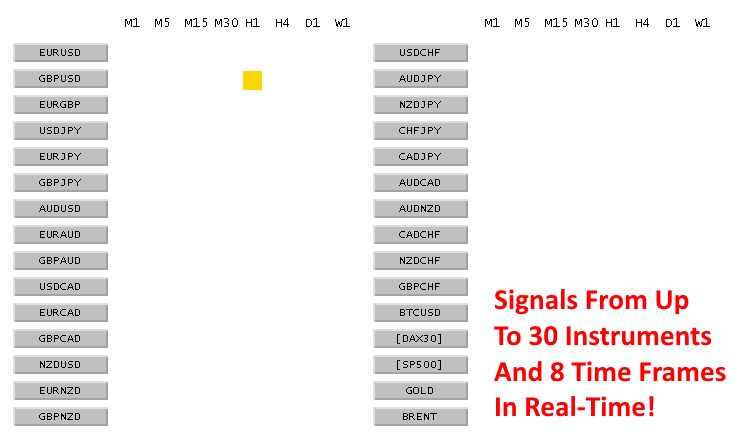 With the default settings of the alerter which 28 pairs and timeframes >= M30 you will have on average 1 signal per day. On some days you will have multiple signals. On some days you will have no signals. It depends on the market conditions. How can I configure the Fibo-Tool to show BE, 1r, 2r, 3r etc?